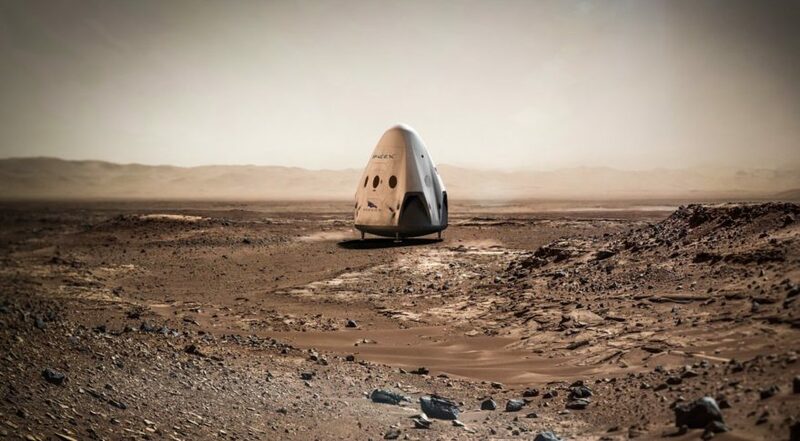 WASHINGTON — SpaceX announced April 27 it plans to send an uncrewed Dragon spacecraft to the surface of Mars as soon as 2018 on a technology demonstration mission aided by expertise, but not funding, from NASA. The company said it planned to launch a Dragon 2 spacecraft dubbed “Red Dragon” to Mars on a Falcon Heavy launch vehicle as soon as the next launch window for Mars missions, which opens in the spring of 2018. The company released few other details about that proposed mission, including its cost and funding source. “Red Dragons will inform overall Mars architecture, details to come,” the company said in a tweet accompanied by illustrations of a Falcon Heavy launch and a Dragon spacecraft resting on the Martian surface. 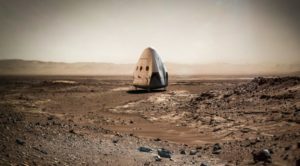 The “overall Mars architecture” appears to refer to SpaceX Chief Executive Elon Musk’s long-term vision of establishing a permanent human presence on Mars.